In the Finished Goods Stockpile #30 below, I've set the Max Bin option to 260, but my dwarves are still not using bins to store the stone crafts, though I can see they have 156 free bins available from the Stock screen. Why is it? Browse other questions tagged dwarf-fortress or ask your own question. Why don't my dwarves bury their dead? How do you design the channel work for magma forging to prevent magma crabs and building destroyers from interfering with production? 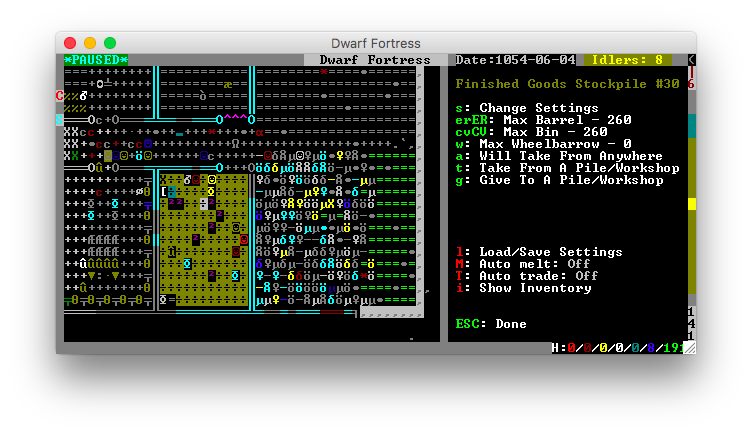 Why don't my dwarves haul corpses to corpse stockpile? Why won't my stockpiles show up?